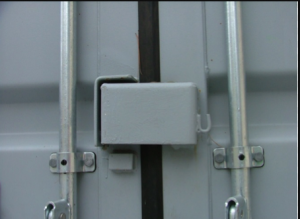 Are you looking for locking storage containers in San Francisco? Outdoor storage containers can be extremely convenient to store your goods. However, you need a highly secure option to ensure that your property is safe from the weather, vandalism, and theft. Fortunately, Haulaway has a proprietary Rhino Lock System available on all our storage containers. This patented system protects your storage unit and gives you peace of mind about keeping storage items – such as a vehicle, furniture, personal items, office equipment, etc – in outside storage containers. In addition to the Rhino Locking System, all our units are made with 14 gauge steel and are weather resistant, keeping your storage safe from not just thieves and harmful animals, but the rain, snow, and wind as well. Once you’ve decided on locking storage containers for your San Francisco home, facility, organization, or business, the next choice is size. Haulaway has an assortment of different sizes to suit a variety of needs, from our smallest unit at 10’ to our oversized 40’ cargo container. Each of these has its merits depending on what you need to store, and if you would like doors at each end for ultimate convenience in accessing your goods. If you are unsure what size you need, or possibly need a custom sized unit, contact Haulaway. We can discuss our options in outdoor storage containers and figure out how we can best help you. With Haulaway you are guaranteed weather-resistant and secure locking storage containers in San Francisco. But that’s not all. With our containers comes the number one customer service in storage solutions. From your free estimate to on-time delivery to continued support, you can count on Haulaway for friendly and professional service at every step of the process. Call or click today to get started with a quick quote.